The most feared complication of thrombolysis is symptomatic intracranial hemorrhage, and there does not seem to be a reliable way to efficiently predict which patients will suffer this consequence. Several risk scores have been created, and Srbian et al. compare their performance in a multicenter cohort. They conclude, however that none of the scores had better than moderate performance, which make the scores clinical utility less apparent. The score with the highest predictive power was the SEDAN score. This score uses the following parameters to calculate risk of hemorrhage: age (>75 y), NIH Stroke Scale (>10 points), blood glucose (8.1-12.0 mmol/l 1pt; >12.0 2pt), early infarct signs, and hyperdense artery signs. This score had the highest area under the curve. All of the scores had similar components included, with some included age, ethnicity, or platelet count. The strength of this analysis is that it directly compares the scores in a large cohort of 3,102 patients. It is also important because it highlights the similarities of the scores side-by-side, so that one or two “best” approaches emerge. Taken together, it seems that none of these scores have the capability to help the clinician discriminate about whether to give thrombolysis therapy or not. With an FDA approved treatment available to treat stroke, these scores to not seem adequate enough to alter that path of care if a patient meets other careful screening requirements. Scores such as the SEDAN score could however, be used to explain risk to patients for the clinician in the post-TPA management in the ICU. With interventional thrombolysis being a treatment under scrutiny currently, it is unlikely that a score will assist a clinician in deciding whether to pursue TPA or interventional management, as both carry a risk of hemorrhage. Another point is that the components of the score such as high NIH stroke scale or hyper dense artery, make it likely that patient will suffer a large ischemic stroke with a high rate of disability. These are the patients we may be willing to have a higher threshold of “acceptable risk” if there is likelihood of benefit with thrombolysis. Our Obsession with Endovascular Therapy for Ischemic Stroke, Are We Missing the Bigger Picture? As many vascular neurologist are aware, the Interventional Management of Stroke (IMS) III Trial showed no benefit of endovascular therapy over IV thrombolysis alone in the treatment of moderate to severe acute ischemic stroke. However, the trial produced a goldmine of data that Liebeskind et al. capitalized on with this study. They Analyzed 276 conventional angiograms for the presence of collateral circulation to establish an association between the degree of collaterals in the endovascular arm before endovascular therapy and the likelihood of recanalization, reperfusion, and good clinical outcome at 90 days after randomization. Their analysis revealed that collateral grade was strongly related to both recanalization of the occluded arterial segment (p=0.0016), downstream reperfusion (p<0.0001), and good clinical outcome (mRS≤2) at 90 days (p=0.0353). The authors conclude that the role of collaterals is an important consideration in the design of future endovascular trials. Intuitively this makes sense. One expects that collateralization improves blood perfusion to brain tissue distal to its native arterial supply. Possibly because the collaterals help support a penumbra until recanalization is established. The fact that the IMS III showed no difference in outcome between IV tPA and endovascular therapy following IV tPA, and that collateral blood flow is associated with improved outcomes after an ischemic stroke, makes the argument that less resources should be spent on endovascular therapy, and more on inducing collateralization in high risk patients as part of primary, or even secondary stroke prevention. The authors of this study have access to a cohort of 276 patients with collateralization that follows a bell shaped curve. An attempt to understand why some patients have better collateralization than others is much cheaper, feasible, and generalizable to other diseases, such as coronary artery disease and peripheral artery disease, than repeating yet another expensive endovascular interventional trial. Like many stroke neurologists, I love administering IV-TPA and can attest to reduced disability in treated patients. Yet there is nothing more disheartening than the few patients who experience significant hemorrhagic conversion. What if there was a way to reduce these hemorrhage rates while simultaneously increasing the likelihood of clot lysis resulting in better long-term outcomes? Wang and colleagues describe exactly that in a rat stroke model treated with combination low-dose IV-TPA and annexin A2. Annexin A2 is a cell-surface protein that forms a complex with plasminogen and TPA. This complex is > 60 times more efficient at converting plasminogen to plasmin than equivalent doses of TPA alone. TPA increases the likelihood of hemorrhagic conversion partly because it contributes to blood brain barrier disruption. The combination of TPA and annexin A2 may allow clinicians to deliver lower doses of TPA – thereby reducing ICH risk – while at the same time improving recanalization rates. The authors randomized 60 rats to high-dose TPA (10mg/kg – equivalent to standard 1mg/kg dose in humans) vs. low-dose TPA (5mg/kg) + annexin A2 three hours after middle cerebral artery occlusion. A prior study showed reduced hemorrhage with combination low-dose TPA and annexin A2 in comparison to high-dose TPA. The current study was focused on long-term outcome and showed significantly reduced infarct size, neurologic deficits, and higher density of cerebrovascular tissue in the peri-infarct zone in the low-dose TPA + annexin A2 group 1 month post-stroke. This study provides evidence of good long-term outcomes following combination low-dose TPA and annexin A2 therapy in a rat stroke model, a significant step prior to translation into human trials. One of the outcomes – density of cerebrovascular tissue in the peri-infarct zone – may be confounded by infarct size. Rats treated with combination low-dose TPA and annexin A2 ended up with smaller infarcts. 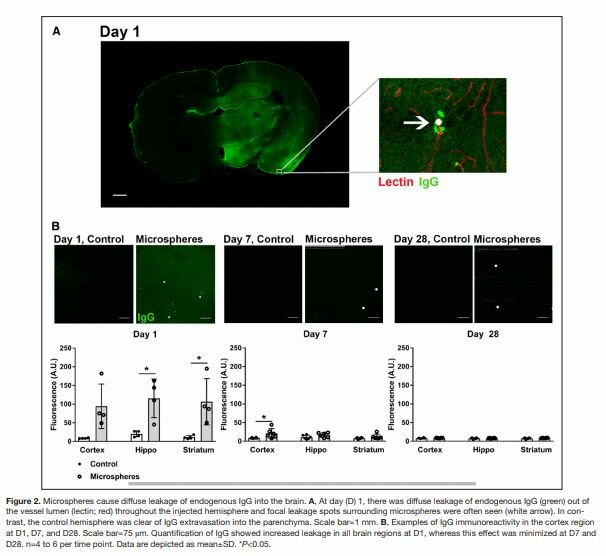 Perhaps the larger area of reversed ischemia in this group promoted endogenous tissue remodeling as opposed to any neuroprotective effect of annexin A2. In any case the important point, well demonstrated in this study, is that annexin A2 did not worsen post-stroke tissue remodeling. Low-dose TPA combined with annexin A2 holds great promise. I am very excited to see this studied in human subjects, but first we must keep in mind the multitude of failed prior translational neuroprotection trials for stroke. The authors would do well to complete the remaining STAIR committee recommendations before translation – most importantly confirming the findings in an independent laboratory. Long-standing anxiety disorder and anxiety symptoms have been associated with increased risk of coronary heart disease. Only a few studies have investigated role of anxiety in cerebrovascular disease. Lambiase and colleagues analyzed data of 6019 participants in First National Health and Nutrition Examination Survey followed for about 16 years. The authors report that anxiety symptoms at baseline were associated with increased risk of incident stroke after adjusting for standard biological and behavioral cardiovascular risk factors (hazard ratio=1.14, 95% CI: 1.03, 1.25). The increased risk persisted even after controlling for depression. Further exploratory analyses suggested increased prevalence of poor health behaviors especially smoking and physical activity in participants reporting anxiety symptoms. This is the largest prospective database analyzed for link between anxiety symptoms and stroke risk. The study suggests that anxiety symptoms (not necessarily anxiety disorder) are an independent risk factor for ischemic stroke. Authors rightly point out that given anxiety is highly prevalent in population, assessing anxiety symptoms may contribute to developing more effective preventive and intervention strategies for reducing stroke risk. More research is needed to better understand physiologic effect of psychiatric symptoms. Further studies are also required to study whether treatment of anxiety disorders and subclinical anxiety can reduce the risk of cerebrovascular disease. In the last 15 years, cerebral SVD has been recognized as a major problem. It causes a fifth of all strokes, and contributes to 45% of all dementias. The cause remains unknown and management is largely empirical. C Miller Fisher’s detailed clinicopathological post-mortem studies provided the first insights into the pathogenesis of the disease, but mechanisms of SVD are still unclear. In an article in Stroke, Aribisala and colleagues explore the association between inflammation and imaging markers of SVD. White matter hyperintensities (WMH) and perivascular spaces (PVS) are known features of SVD. The authors measured plasma fibrinogen, C-reactive protein and interleukin-6 in members of the Lothian Birth Cohort (all born in 1936) having a mean age of 73. A brain MRI was performed and neuroradiologists rated the PVS and WMH. They found a strong association between increased numbers of visible PVS and increased amounts of WMH. Inflammatory markers were weakly but significantly associated with PVS, but not with WMH. The association between inflammation and PVS has been observed in settings outside of SVD. For example, the diameter of spaces increases during periods of active inflammation in multiple sclerosis. These changes are likely mediated through effects on the small perforating arterioles. But similar to Fisher’s study of the lacune that was done long after the patient suffered from a stroke, this study on elderly subjects may miss observations perhaps at the origins of the SVD process. A study on younger individuals examining peripheral and central inflammatory markers could show a different profile, tell us whether PVS predates WMH or if immunomodulators modify SVD course. More information on the role of inflammation, and more importantly interventions targeting this mechanism is needed. Till there is more clarity on mechanisms, we shouldn’t assume that SVD is all a consequence of ischemia. How good are we at detecting atrial fibrillation? Detection of atrial fibrillation (AF) is of great importance, as this often provides the necessary evidence for starting anticoagulation therapy. This task can be hindered by the mode of detection, as well as the duration applied. Kishore et al. from the University of Manchester performed a systematic review and meta-analysis of 32 prospective studies dealing with detection of AF on the various ways to detect AF after stroke or TIA. They sought to determine the overall rate of detection of AF, comparing stroke patients who were selected for detection versus those who were not. They also aimed to determine the optimum time of monitoring for these patients. Overall, they found that the detection rate varied greatly, with an overall detection rate of 11.5%, with a high heterogeneity index. They also found that detection rate was higher among selected patients compared to unselected patients (13.4% versus 6.2%), and that AF was found in 15.9% of cryptogenic strokes. When looking exclusively at inpatient detection, AF was detected to a higher degree in those selected for monitoring compared to those who were not. They also found that prolonged monitoring increased the detection yield; however, these studies used varying time frames and monitoring modalities. Ultimately, the group concluded that prolonged periods of monitoring were more beneficial. The analysis was limited by the heterogeneity of populations and monitoring characteristics, largely because these studies did not report their criteria for diagnosing AF. Kishore et al. rightfully conclude that patient selection and more prolonged non-invasive monitoring tends to increase AF detection yield. They also emphasize that in order to better define monitoring characteristics in the future, standard definitions of PAF should be used. This would certainly make sense, as it is obviously important in any search strategy to define one’s target, narrow the search window, and ensure an adequate length of search. Only then, can we potentially lower the percentage of cryptogenic strokes, many of which are sure to be cardioembolic. One of the factors responsible for overall improvement of the acute stroke care is improvement of door to CT (DTCT) and door to needle (DTN) times. The current AHA guideline recommends door to CT time (DTCT) of less than 25 minutes and door to needle (DTN) times of less than 60 minutes. This study is a single center experience (MGH), which evaluates these parameters for the patients who presented directly with acute ischemic stroke 2003 – 2006 compared with 2008 – 2011 periods. In 2007, MGH developed a new acute stroke protocol with ten best practices to lower DTCT and DTN times; all of which were later incorporated into the Target Stroke Initiative launched by the AHA and ASA. DTCT and DTN times improved dramatically after applying ten best practices established by NINDS and stroke expert community. Out of 4,477 patients with acute stroke, 2,595 was evaluated, ~60% pre and ~40% post 2007 changes. Median DTCT time was 68 minutes (71 pre intervention compared with 59 post intervention) but for the patients receiving rt-PA, it was 24 minutes (30 pre vs 18 post intervention) with DTN time 58 minutes (70 pre vs 47 post intervention). Target DTCT </= 25 doubled from 37.5% to 75.4% and DTN </=60 increased from 32.1% to 70.3%. These results speak for themselves. Decreasing the times was not easy to achieve, but well-oiled teams are able to achieve well-defined targets and continue to push the envelope and improve acute stroke care and set an example and goals for the rest of the stroke community. This is a single, tertiary care center experience and as such has important limitation, but still, this is very inspiring and moving data. Makes you want to push yourself further. Lacunar stroke has a distinct pathophysiology from large artery strokes, and may present a unique opportunity for treatment. Lipohyalinosis and microatheroemboli represent a mechanism distinct from thrombosis in larger artery strokes. As Pedder et al. point out, little attention has been dedicated to developing treatments specific for small vessel stroke. In this meta-analysis, interventions in animal models of lacunar stroke were pooled to find evidence for testing candidate interventions in the future. They describe 43 interventions in 57 publications. Lesions modeling lacunar stroke included those caused by occlusion or stenosis and by diseases modeling disease of perforating blood vessels, such as spontaneously hypertensive stroke-prone rats (SHRSPs). Studies including infarct size and neurobehavioral outcomes were included. The authors carefully controlled quality and risk of bias between studies. Examples of some of the interventions that improved outcomes were preclamol (dopamine receptor agonist); nicotiflorin (a flavinoid); hepatocyte growth factor; atorvastatin, among others. Studies that did not have a randomization technique had a significant increase in reported efficacy of therapy. The highest quality of studies had the lowest reports of efficacy. Interventions administered intraperitoneally were the most effective, and the highest efficacy was reported are studies using spontaneous strokes in SHRSPs. It is not clear how to interpret the efficacy of these compounds, and more in vivo data is required prior to moving forward with clinical trials. The authors point out that there are limited measures to reduce bias, which compromises the internal validity of the results (e.g. randomization or blinding). Studies with the fewest measures to reduce bias had the largest effects reported. It was surprising to learn that four interventions actually improved neurobehavioral outcomes and infarct size, however none have been tested clinically yet, which may be appropriate as more animal data needs to be collected. The SHRSP may be a good animal model to study lacunar stroke, but it is still not certain that the pathophysiology is similar to that in humans. Hopefully there will be translation of some of these compounds to patients in clinical trials, as we learn more from these animal models. Kang et al. looked at occurrence and predictors of hyperintense acute reperfusion marker (HARM) and the association with new ischemic infarcts after carotid revascularization. HARM is defined as delayed gadolinium enhancement in the subarachnoid space on FLAIR imaging. In this prospective study, Kang’s team looked at 45 patients who underwent either carotid endarterectomy or stenting for stenosis ≥ 70%. Each patient had diffusion-weighted and FLAIR imaging before and 24 hours after carotid revascularization. They found that older age, underlying leukoaraiosis, and post-procedural high blood pressure were associated with symptomatic HARM. The most meaningful part of their study focuses on the post-procedural blood pressure data. They found that patients with symptomatic HARM showed clinical improvement after strict blood pressure control. If HARM is more likely to occur with elevated blood pressures and if symptoms improve after blood pressure is optimized, why are we not doing a better job controlling pressures? We have an abundance of data showing that uncontrolled blood pressure after carotid revascularization increases the risk of reperfusion injury. Data is most meaningful when it directly impacts bedside care. When a patient undergoes carotid revascularization, we cannot change his age or his amount of underlying leukoaraiosis. We can control post-procedural blood pressure. And we have the medications and technology to do it well. The risk of HARM will decrease with improved blood pressure management and this should be the focus of post-carotid revascularization care. Penaloza-Ramos et al. did a very interesting and useful cost effectiveness analysis using TreeAge software (decision tree analysis) to evaluate the utility and cost effectivess of different strategies to improve tpa thrombolysis for acute ischemic stroke patients. Not surprisingly, tpa has been previously shown to be cost saving for patients. This study shows that implementing strategies to increase the utilization of tpa for ischemic stroke patients can be further cost saving for a population. Different change strategies were studied and the most cost savings strategies included better recording of onset time (last seen normal time) which resulted in 3.3 additional QALYs and $46,000 per 100,000 patients saved. This article used real patient data from two geographic regions (health trusts) of U.K so the reliability of the data is assured. This data was used as the base case. The interventions tested included both optimal change and a more realistic intervention size which increases the realism of the projected cost savings and outcome improvements. Sensitivity analyses proved that it was cost saving and quality improving in all cases. Hopefully, with computer simulated studies using real patient data such as this one, more healthcare systems and governments are willing to put the resources in place to motivate action to improve thrombolysis of acute ischemic strokes. Currently, only a modest 5-7% of acute ischemic stroke patients are estimated to receive IV TPA in the United States. 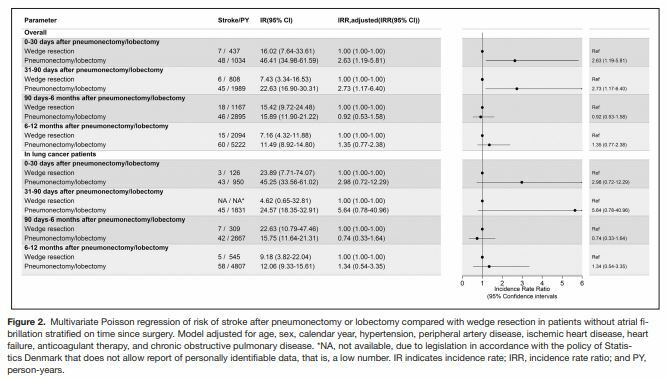 We can easily increase the use of iv tpa for ischemic stroke patients with simple strategies such as that listed in this article, and potentially improve the quality of life of many patients and save costs for society. As more attention is being focused on the value of healthcare we delivery, implementation of different strategies to increase IV TPA use becomes more important.